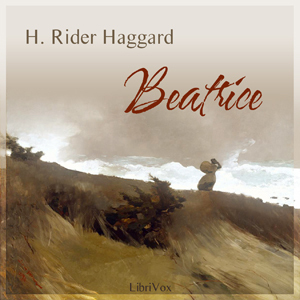 Listen to "Beatrice" on your iOS and Android device. Whilst I enjoyed the story having to listen to an introduction about the author and the reader was unnecessary. At the beginning would have been sufficient, it added an extra half hour onto the book. Unless it was a legal requirement. I enjoyed the book but found it annoying that the narrator kept saying who she was at the beginning and end of each chapter and who the publishing company is at the beginning of each chapter. Other then that it was an interesting book . I really enjoyed this book. However I found that the narrator sometimes read so fast and without much expression that I lost track of the story. Overall a really enjoyable listen. Thank you. GREAT BOOK! The narrator was awesome. Well reccomend to anyone whom enjoys an historical love story. I thoroughly enjoyed listening to this book.As I am not a very good sleeper it's nice to listen and fall asleep then being able to start off where I left off by putting the timer on.